Plano Texas Handyman can provide whole home automation systems (Read More), Wireless home security and surveillance systems (Read More), Smart Home Technology (Read More) to make your life more enjoyable and save you thousands of dollars. You can also email me at ted@planotexashandyman.com. Security and Surveillance – “If it’s valuable to you, it’s also valuable to someone else,” You need to be vigilant to maintain care, control and custody of your purse or other valuables.” What about home security? WIFI Home Comfort – Includes smart phone thermostats, smart phone light switches, smart phone lighting. Exterior irrigation – Install Rachio sprinkler controller and a wireless drip irrigation system for your patio potted plants and greenery. Electric – Just about any electric device can be controlled with your smart phone. Highest-rated, best-selling. The smart watering category leader, overwhelmingly recommended by users. Automatically adapts for weather. Rachio continuously adapts to local weather forecasts and changing seasons, automatically optimizing watering schedules. Save water and money. Save up to 50% of your outdoor water use while keeping your plants healthy. EPA WaterSense Certified, eligible for rebate options up to 100% of retail value. Water with precision. Rachio uses specific yard details, advanced watering algorithms and proven irrigation science to create accurate schedules customized to the particular needs of your yard. 7 days of free cloud recordings. Remote Access: Control your home lighting from anywhere with your smartphone or tablet using the free Kasa app. Scheduling: Set lights to turn off and on at dawn, dusk, or any time that works with your daily schedule. Away Mode: Make it look like you’re home when you’re not by having your lights turn off and on randomly while away. No more keys: Open your door and control who comes in – all from your August Home smartphone app. Easy install: Attach to the inside of your current deadbolt in minutes. Your home’s exterior is unchanged. Hands-free access: Auto-unlock when you arrive home. Auto-locks after you’re inside. Feel secure: Share temporary virtual keys with guests & monitor access with 24/7 in-app activity feed. Remote access: Control your front door from anywhere from your app. Requires August Connect. Works with: Amazon Alexa, Apple HomeKit, Nest, IFTTT, Wink, Logitech Harmony, Logitech POP, iOS and Android devices. Smart Home Technology. Contact Ted at Plano Texas Handyman at 214-507-3415 for a quote on your perfect home automation. 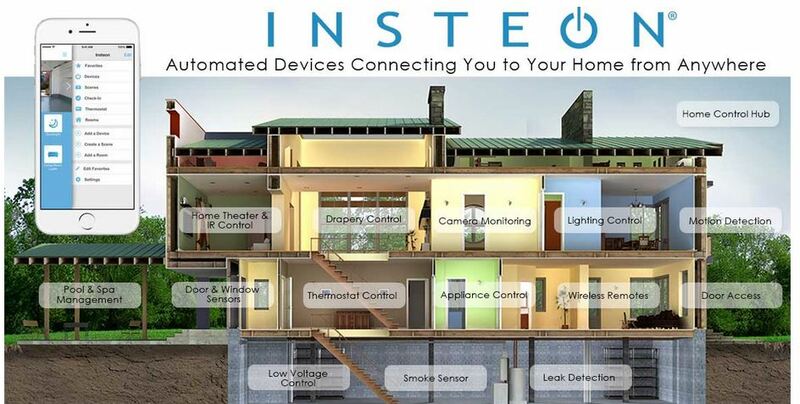 Home Automation You can also email me at ted@planotexashandyman.com.